Motion sickness, however, isn’t actually a stomach problem. It’s caused by the excessive stimulation of the sensory organ in the inner ear, which connects to what’s called the “emesis center” of the brain stem. Basically, the sensory organ tells the brain to evacuate the contents of the stomach. Interestingly, we’ve learned in Fear Free that pets who have experienced motion sickness while in a car, boat, or plane can actually experience it without even being in motion. Just the sight of the car where they suffered a topsy-turvy belly before can replicate the symptoms. If you’ve ever been sea-sick (or car sick on sick on an airplane that was rising and dropping) you know that it’s among the most uncomfortable of feelings. Think of a poor pet who’s sick to their stomach just at the sight of the car! Some lucky pets can be helped by something as simple as a ginger snap. Additionally, you can work with your dog to decrease or even eliminate motion sickness by conditioning the pet to pleasant car travel. Unfortunately, I find most people are unwilling or unable to see that process through. For that reason, I reach frequently and often to an amazing prescription product called Cerenia (not a sponsored mention!). Available in a pill and injectable form, this product works on the emesis centers in the stomach and brain and acts like two invisible corks to stop both vomiting and diarrhea. 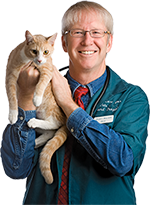 Other potential approaches include medications or supplements that soothe a pet’s anxiety, in combination with a prescription drug such as Cerenia. 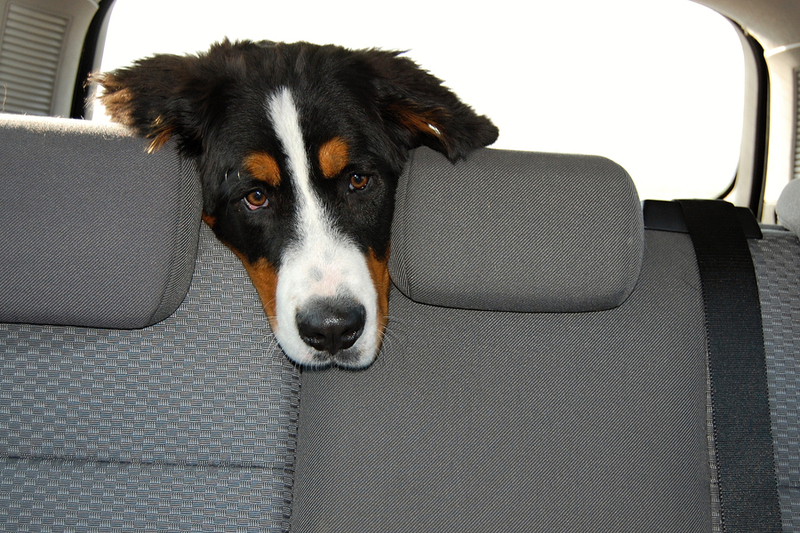 So as summer travel season begins, don’t think car sickness has to keep your pet at homed while you travel. There is help for car sickness. Just ask your vet!